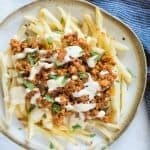 These Loaded Mexican Chicken French Fries are delicious and easy to put together. These are perfect to serve a crowd at a party. If you are still wondering what appetizer to serve on your New Year eve party, then this recipe is for you. French fries have always been a crowd pleaser. 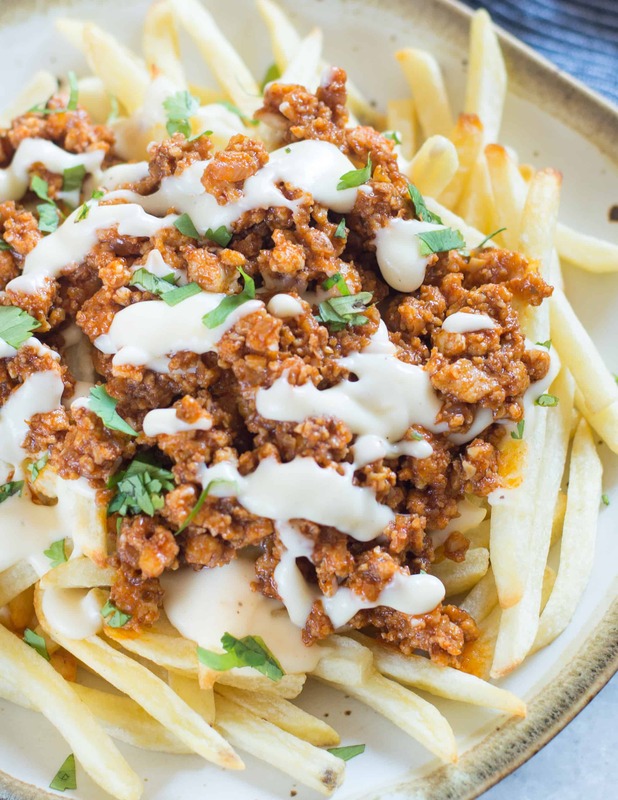 And this loaded Mexican chicken french fries is surely going to amaze your guests. Crispy fries topped spicy flavourful Mexican Chicken and loaded with a luscious cheese sauce. Hosting a party at home is not an easy task. It needs lots of planning and prep work. It is important to put together a menu which involves less time in the kitchen on the day of the party. I do a lot of planning and prep work well ahead of time. But still, I end up spending lot of time in the kitchen, while my guests are around. Most of the time my friends get annoyed seeing me standing in the kitchen for hours to cook on party days. And they insist me to order take outs while I host a party so that I can spend time with them. In recent times instead of cooking up a full spread, I am making lots of finger foods on weekend parties. Kebabs, Nachos, Peanut Masala, french fries are few of the finger foods which involves less amount of cooking. Most of the work for these finger foods are done in the prep work. 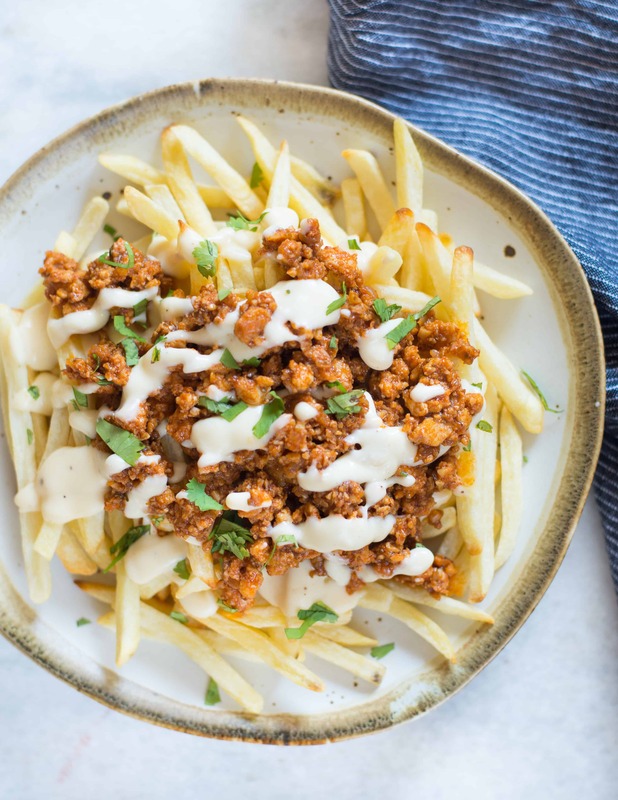 These Loaded Mexican Chicken French fries literally take 15 minutes to assemble. All you have to do is keep all the component ready. And when your guests start gathering around the table, fry the fries and top it with chicken and sauce. I have recently switched to an Air Fryer. 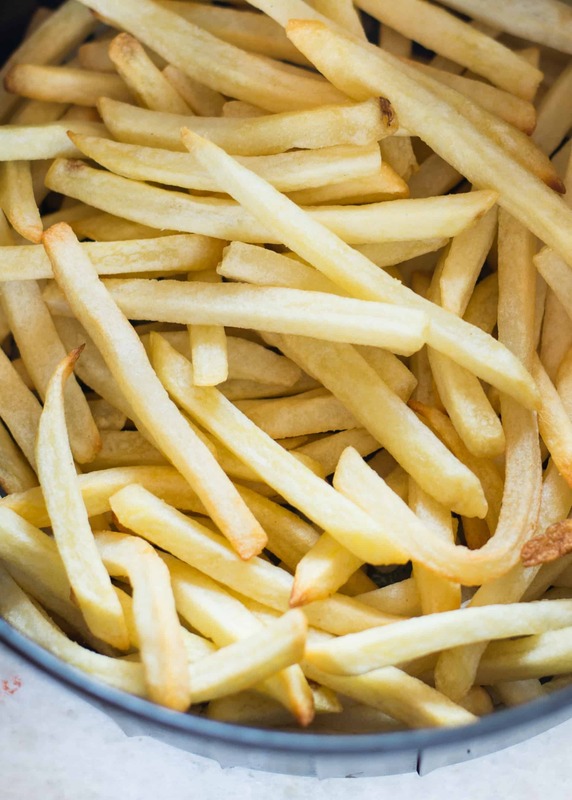 Making French fries in an Air Fryer takes just 10-15 minutes and are as good as the deep-fried version. I make kebabs and Potato wedges too in my Air Fryer. So aren’t these Loaded Mexican Chicken French fries are the best appetizer to serve at a party?? These fries are always in demand in my house parties. And I am definitely making a big batch of these on out New Year Eve party. 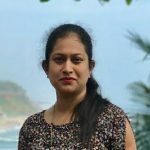 With this post, I am also taking a break from blogging for this year. Thank you all of my readers for the love and support they have shown. I am grateful to every one of you. And I promise to share amazing recipes in 2018. Heat Oil in a pan. Add finely chopped Onion. Cook till they are soft and start to brown. Add minced garlic. Fry till the raw smell is gone. Add tomato puree. Mix everything well and cook for 30 seconds on medium heat. Then add all the spices. Mix well and cook for another 30 seconds to 1 minutes. Make sure not to burn the spice mixture. Else add few drops of water. Add minced chicken and salt. MIx everything well and cook till chicken is cooked through, somewhere around 3-4 minutes on medium heat. Add 1/4 cup warm water and bring to a boil. When it starts to bubble, switch off the flame and keep aside the mixture. In a pan add butter. When butter starts to melt, add flour. Mix well using a whisk. Cook butter and flour mixture on low heat. Just before the mixture starts browning, add warm milk slowly, while whisking with the other hand. Keep whisking the flour-milk mixture slowly and avoid any lumps. Add shredded cheddar cheese. Switch off the flame. Mix well until all the cheese has been incorporated and the mixture looks smooth. If the cheese sauce looks thick then add few tablespoons of warm milk to the mixture. Cover the cheese sauce with a cling wrap to avoid forming a skin on top. Fry Frozen french fries just before serving till crispy. Arrange on a serving plate. Top with cheese sauce and minced chicken. Garnish with fresh cilantro leaves. Make sure you fry the french fries just before serving and after adding the toppings serve immediately. Soggy fries don't taste good at all. If you are preparing the cheese sauce a day ahead, cover with a cling wrap and refrigerate. 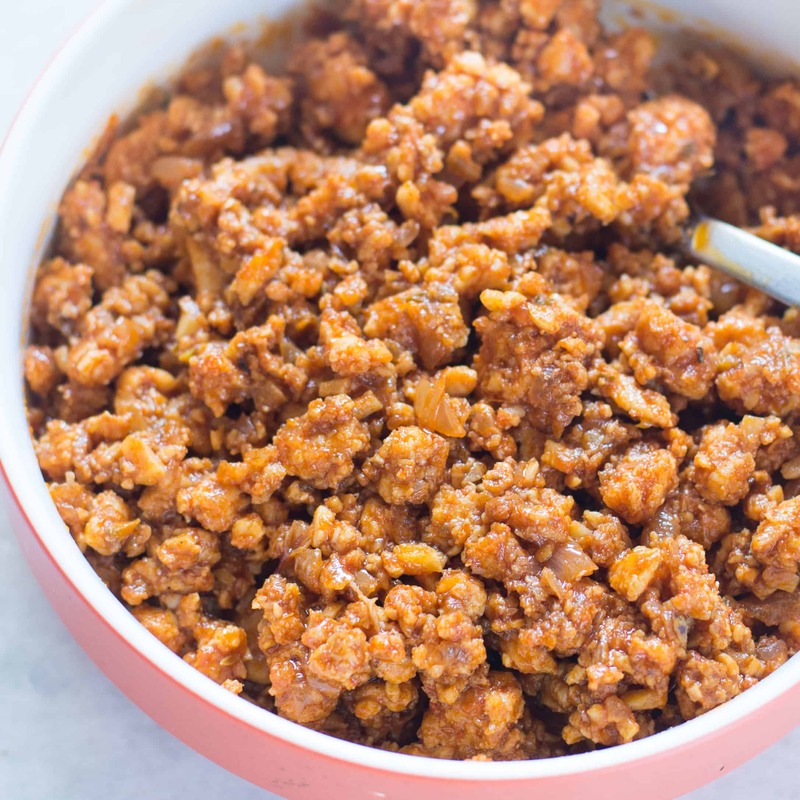 If you have prepared the chicken topping ahead of time and at the time of serving it looks dry, then add a couple of tablespoon of hot water to the mixture and reheat.